Since it’s my mom’s first time in Italy, I thought I’d show her around for a bit. 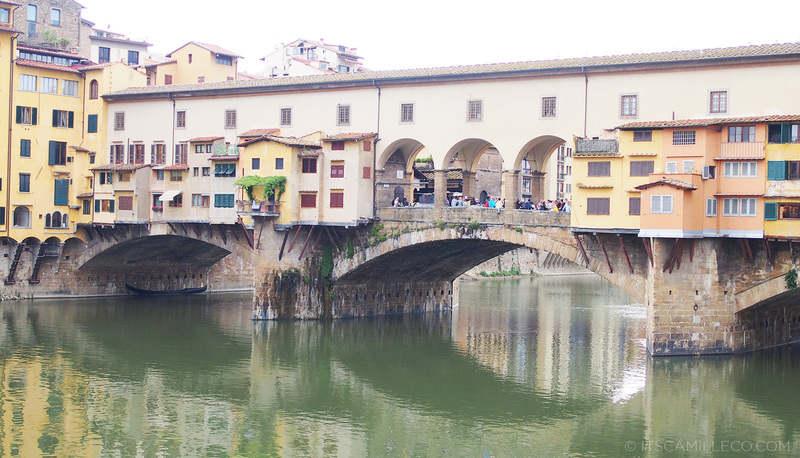 Just a quick stroll around the beautiful city on the way to Ponte Vecchio. 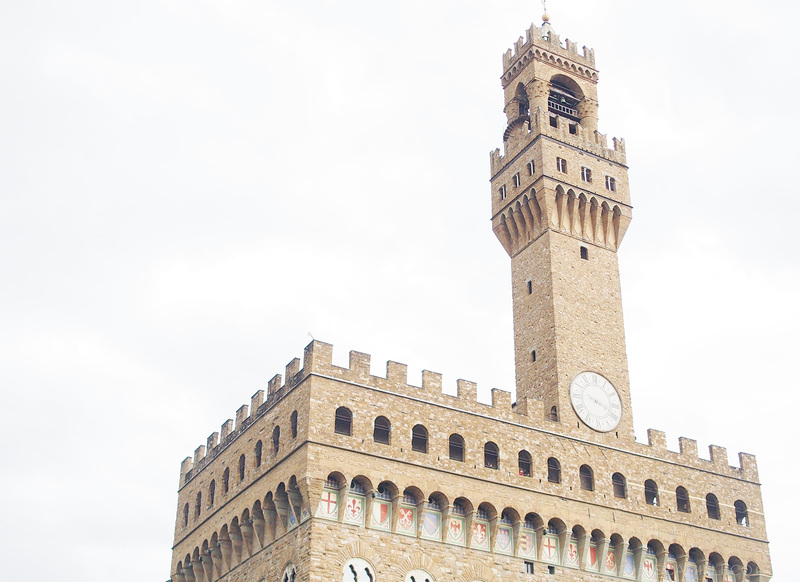 This is Palazzo Vecchio located at Piazza dela Signoria. 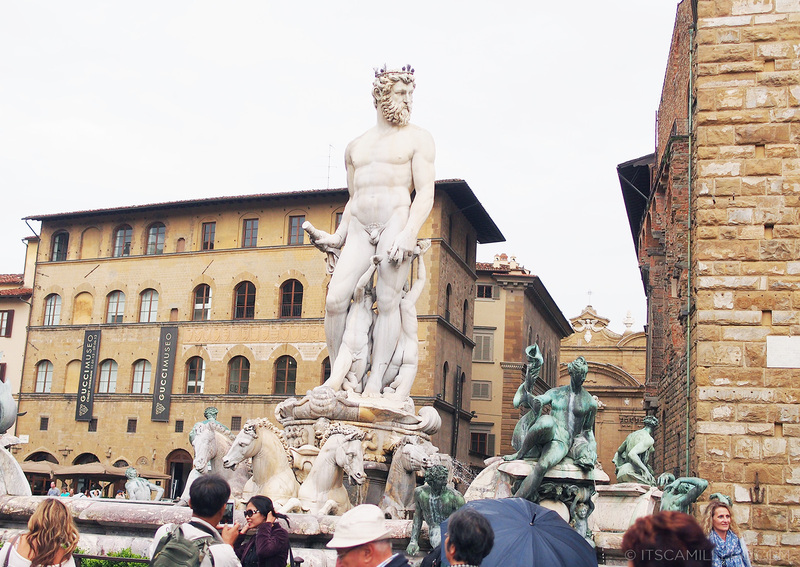 This Piazza is one of the busiest because it has so many tourist attractions. This isn’t the real David statue by Michelangelo. 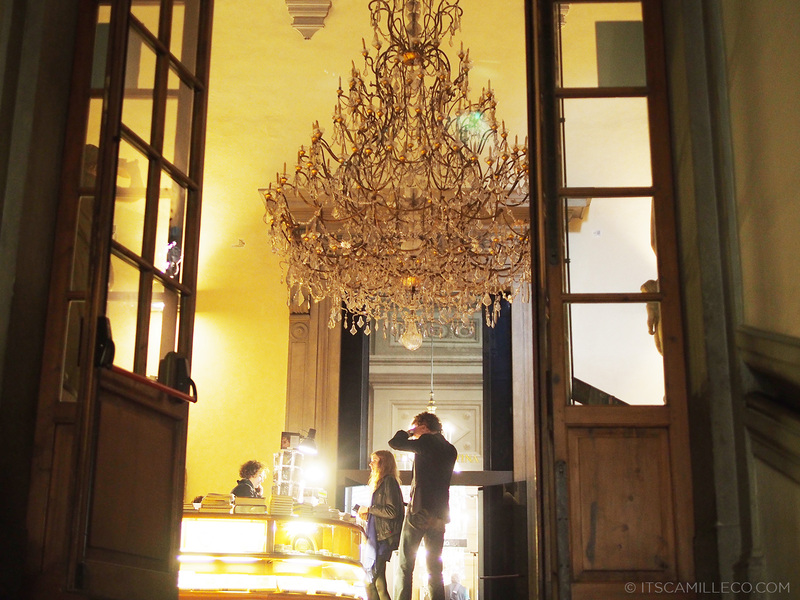 The real thing is at the Accademia Gallery. The line for that is ALWAYS long and since my mom isn’t really big on museums, she’s already content seeing this replica. LOL! 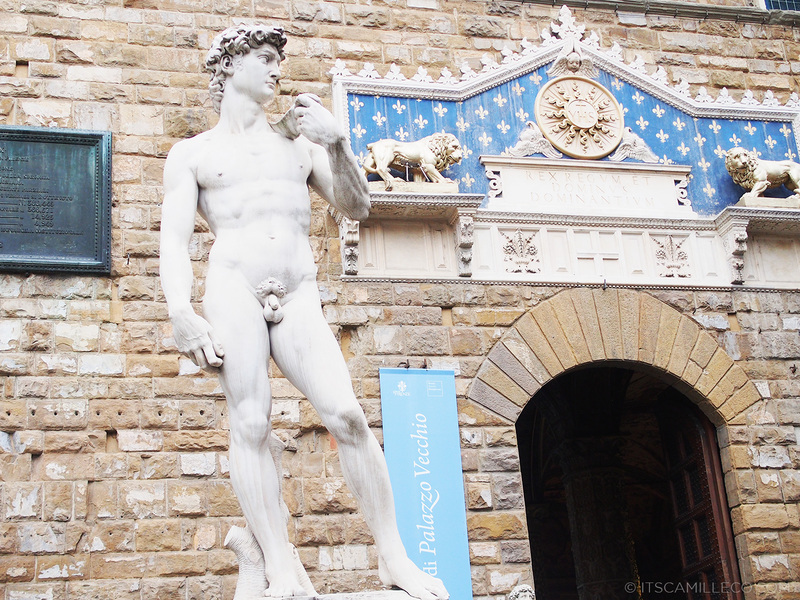 But if you’re a first time visitor at Florence and not lazy like my mom (just kidding, mom), I highly suggest visiting the Accademia so that you’ll see Michelangelo’s masterpiece in person. 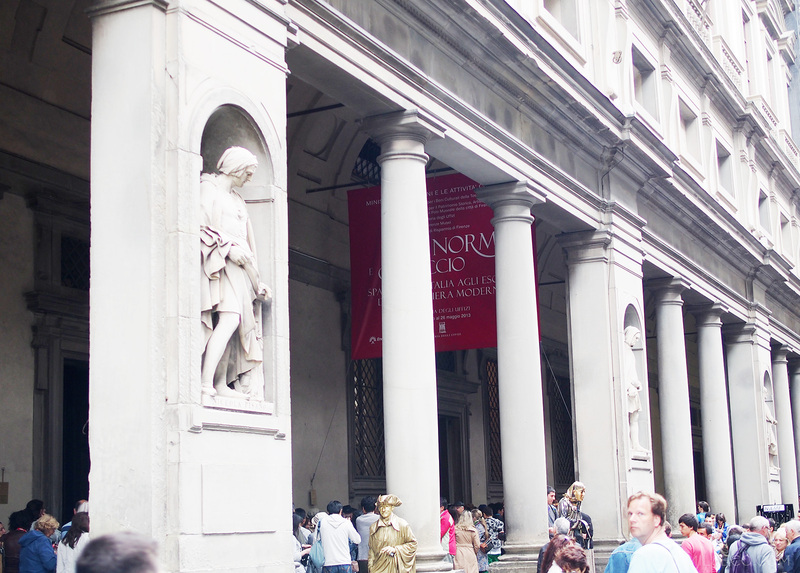 Just a few steps away from Palazzo Vecchio is the Uffizi Gallery, another must-see museum here in Florence. 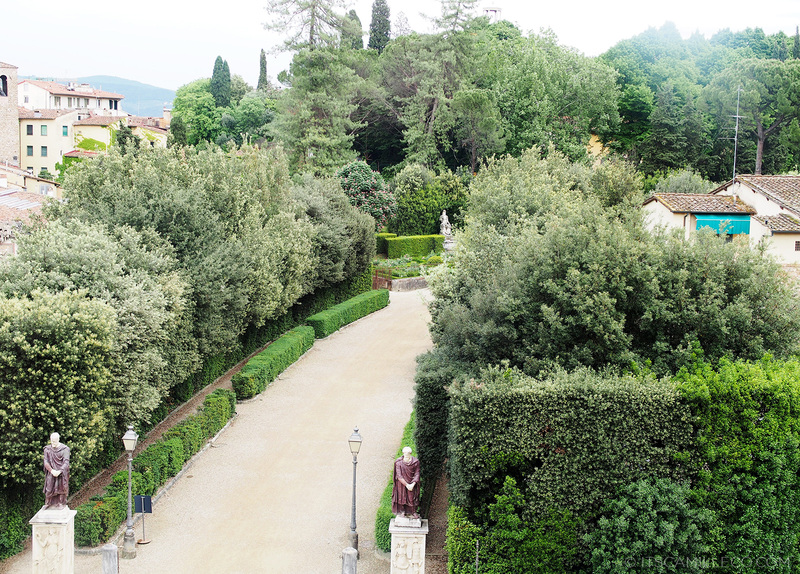 It has the best art collection that includes works by Da Vinci, Michelangelo, Botticelli, Raphael and so much more. Map in hand along River Amo! Such an eager beaver tourist! 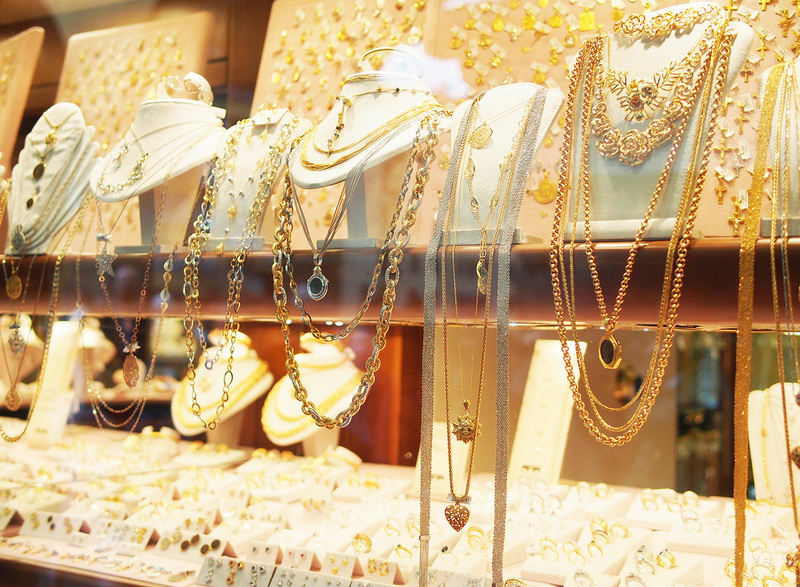 You’ll see a lot of jewelry shops like this around Ponte Vecchio. Most of them sell gold. 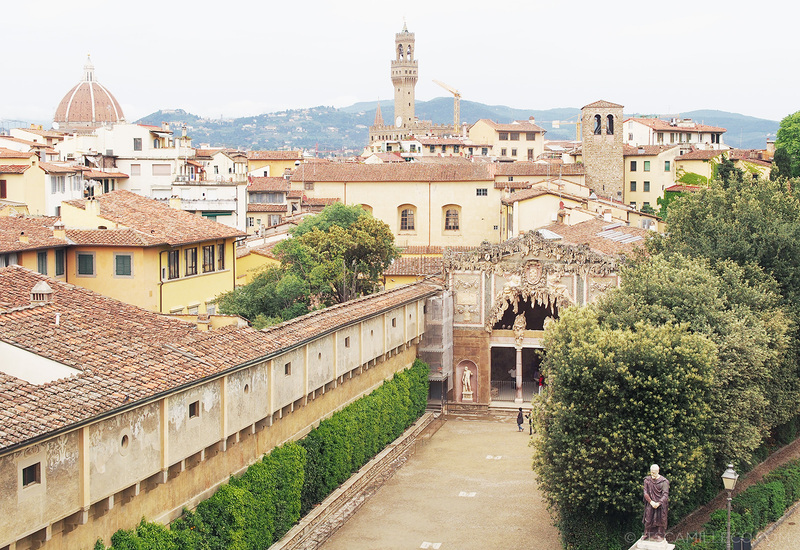 I have the exact same photo of this taken when I first went to Florence a few years back. Nostalgia hits! 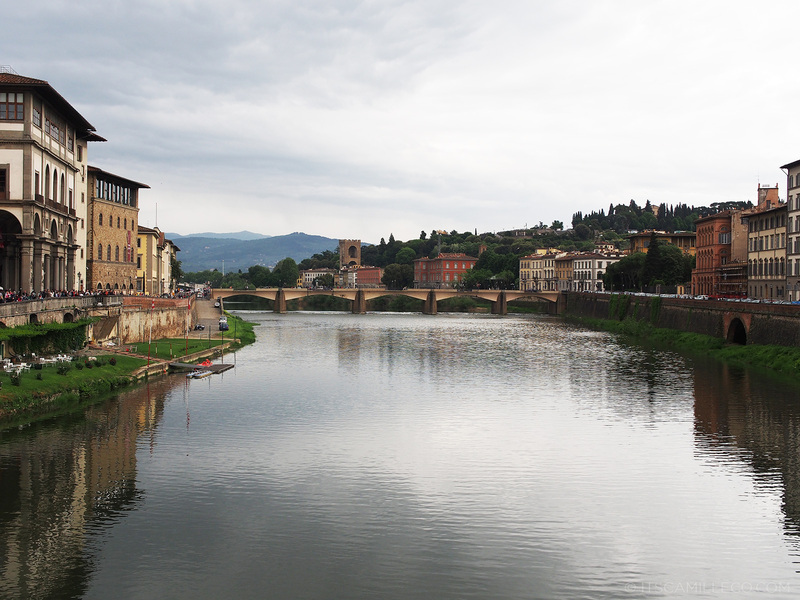 When you cross the bridge to the other side of River Amo, you’ll reach Palazzo Pitti just a short distance away. 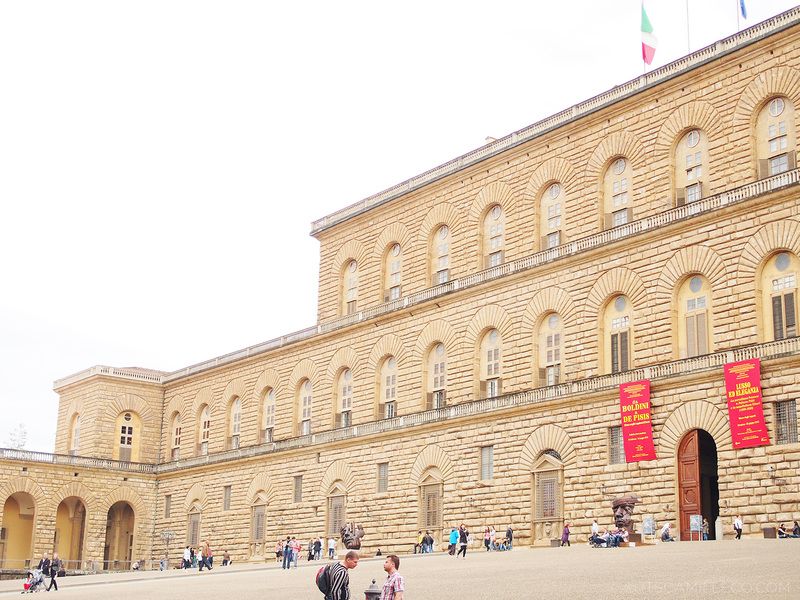 Aside from the Royal Apartments, Palazzo Pitti houses a lot of art works as well in its Palatine Gallery, Costume Gallery and more. 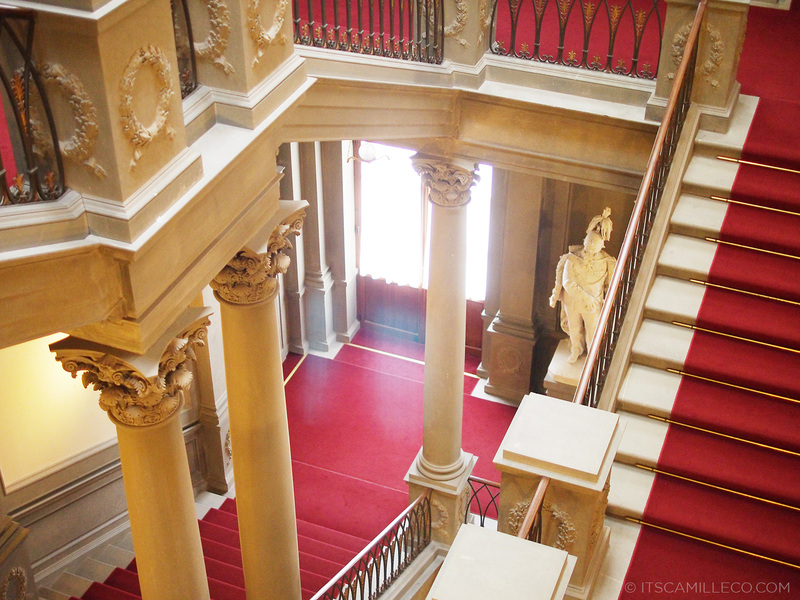 I really love touring around palaces. So much grandeur! 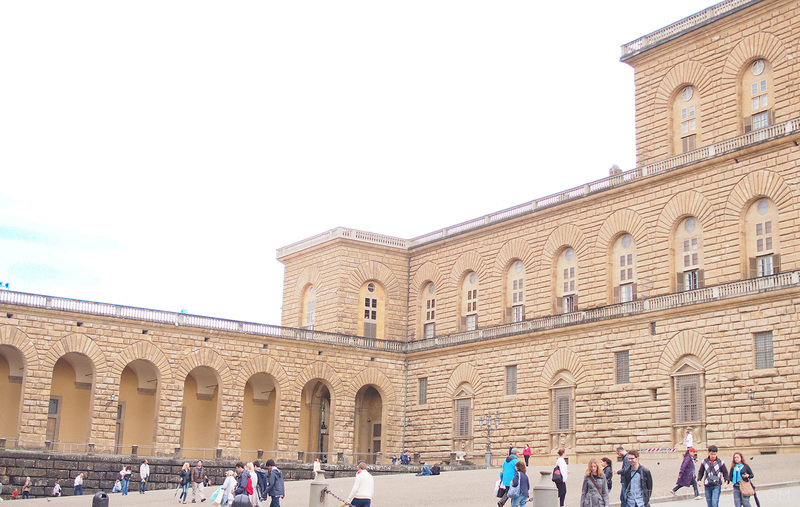 The view from one of the windows at Palazzo Pitti. Too bad I wasn’t able to tour around its garden though. It would’ve been great to take outfit shots here but the palace was about to close already. At least, I got to see it from one of the windows. Haha! That’s as good as it gets. Might as well take my outfit shots outside like a true commoner. LOL! Hello Ate Camille. I just would like to ask if the pants you’re wearing did fade a bit after washing? ‘Cause I also have like that (also bought in Singapore) and i guess it’s the same material. And unfortunately, the black portions did fade :( (turned to gray). Hi there, Camille! Just want to know what camera you used for all these amazing photos? The exact unit if you don’t mind. Id really appreciate it Thanks and stay gorgeous! This is my first time of commenting on your blog, though I visit your blog daily. I love your style, love your look. You are of one my favorite and all time personal style blogger. I will try and comment more often. Thanks Sisiekomi! :) Please do! Read this blog already few days ago Ms. cams! To this day lang nacompose ang comment ko! SUPER ADORE ko ang loooong legs mo! Short legged kasi ako! I can see how “bitin” the jeans to your legsZ. But doesnt matter. Super ganda! i love your jacket!!! I wish i can go to Italy, too! wpw! your blog about europe is really fantastic! 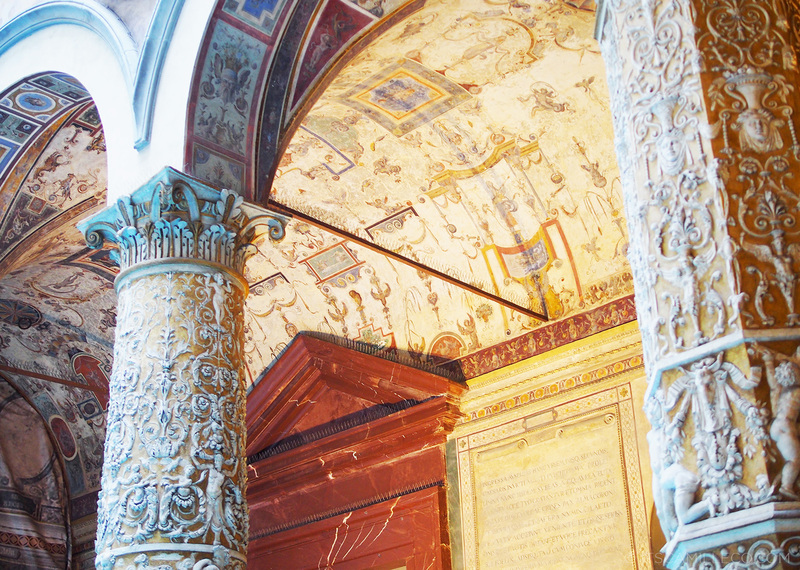 Im a history major and im so happy to see the culture of italy back and then are still rich. I wish i can go there to. Huhuhu #someday .. lucky you. 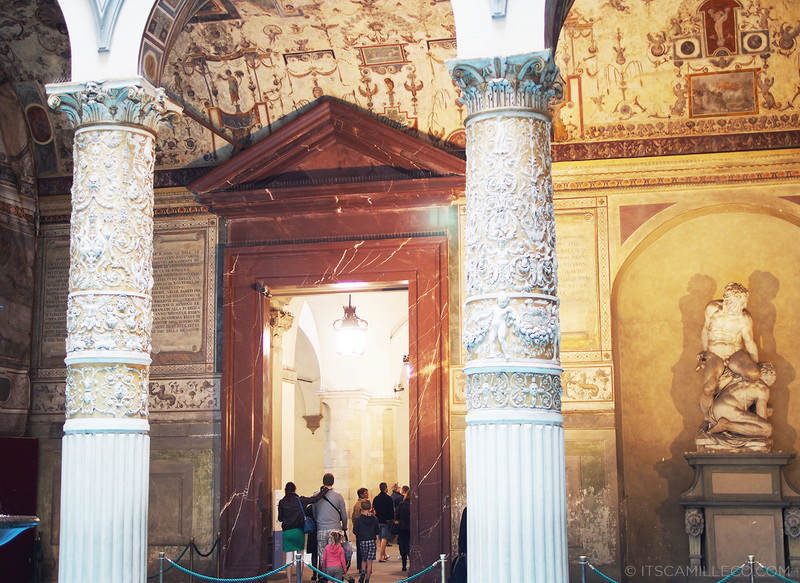 As a history major, you’ll love Italy even more! Especially Rome! Really love this outfit, perfect for touring! I’ve been looking for a denim jacket and this one with the gradient/ombre effect is just perfect! hi ms camille, when i read your blogs, i always say “tsk,tsk, she is one lucky girl..” haha! envy much! though your blog is everythng, parang nakapunta na din ako! You’re my daughter’s favorite bloggger. Hope there’s a chance to meet you. You’re my daughter’s favorite blogger. I hope there’s a chance to meet you. 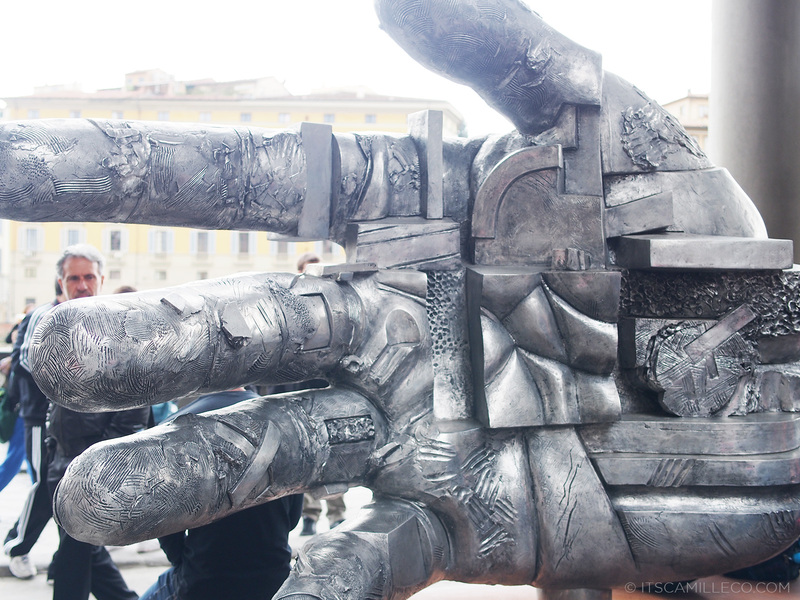 I live in rome. Amazing photos . love your trousers ! I’m nuts for your printed pants here! The pattern is so cool! Reminds me of a very Alice-in-Wonderland theme. The places you showed here sure look very sophisticated… Everything seems breezy and peaceful despite the tourists. 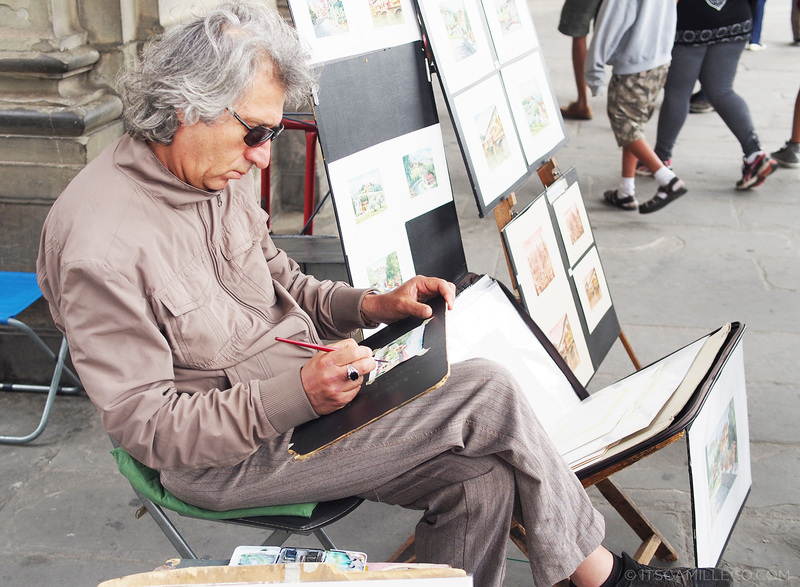 I’m also loving the artist you took a photo of. The paintings on display on her stand look very nostalgic. They really do! 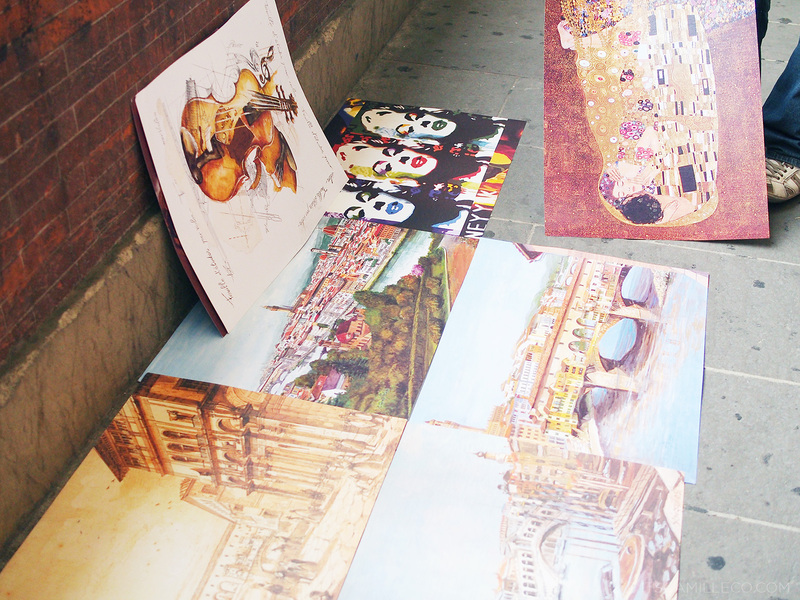 You’ll love the random paintings you’ll see around the city :) So many talented artists! Haha learn to share!! Just kidding. :) Awww that’s such a cute story. 6 years old pa lang, fashion blog na! :) Thank you Coleen! I always wear flats when I travel! Can’t walk in heels haha! Thank you Cielo! Yeah, the gardens look so beautiful! Next time! 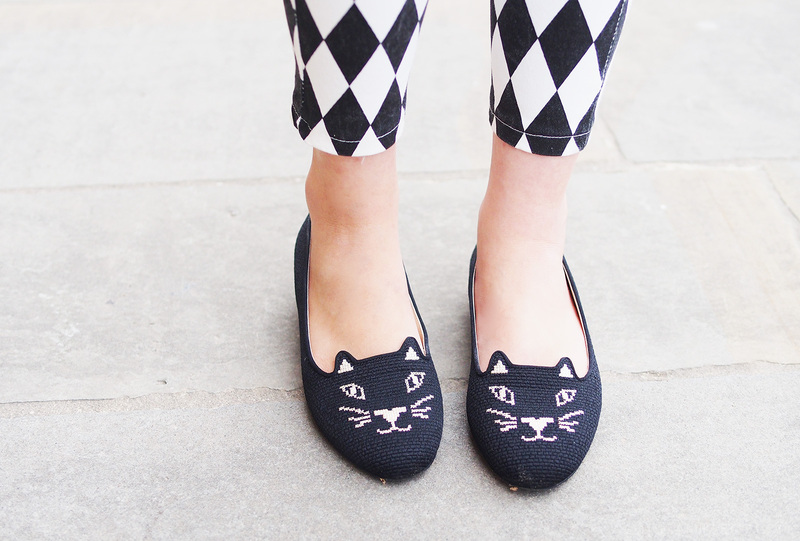 Super cute cat flats! :) Are there any other stores that sell these? i mean mga cat-themed na shoes? Hi ate Camille :) Just wondering, have you tried travelling all by yourself? If yes, are you not afraid or something? I wanted to travel someday kasi but I am kinda hesitant of the idea. ShoutOut from CEBU : LOooooooooove your blog and especially you ate Camille. God bless. Sorry for the repeated comment. I thought it wasn’t submitted. Haha! :) Thanks so much Vina! Did your mom took your outfit shots? want to go there too. how do you maintain your bangs po ? do you iron it ba ? Thank you Ericka! My blog can’t compare to your other favorites, their photos are amazeballs!!! I like to walk like princess there. Haha. Dreaming! I love your watch! The ombre effect pop of colr against the gold is so pretty! Finally! Charlotte Olympia on your feet! Sana heels naman sunod! ;) Your denim jacket reminds me of the Acne ones on this month’s Preview cover! Some day! I opted for these first because they’re just too cute! 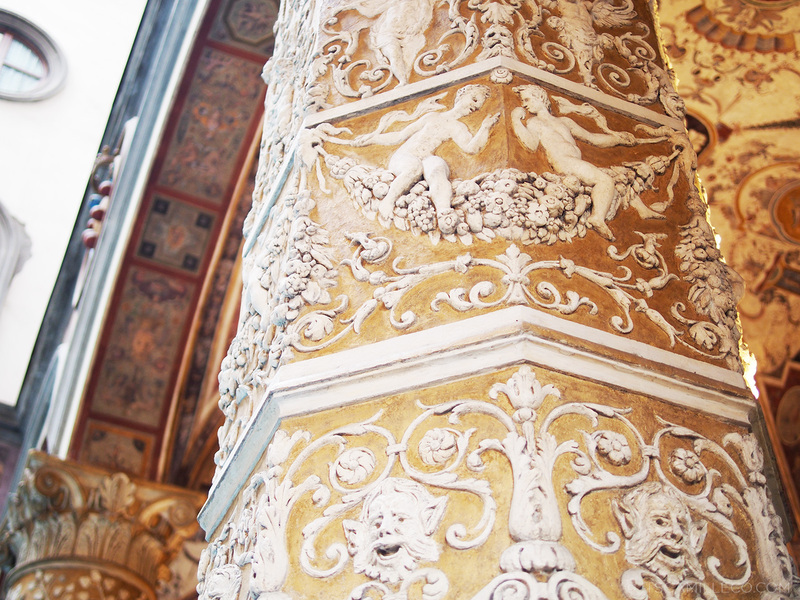 Italy has so many historical landmarks, you won’t run out of places to see! :) I do hope you get to visit the country. You’ll love it!